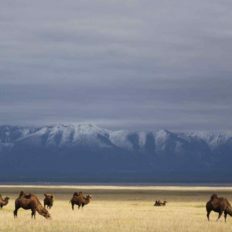 If you’re an intrepid traveller and thrive on a good adventure then Mongolia is the destination for you. 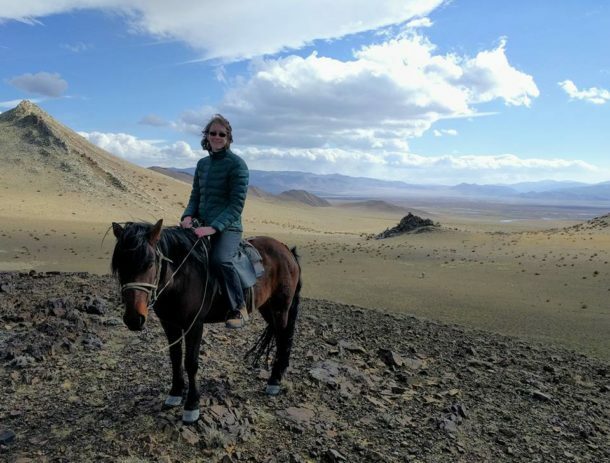 Mongolia is a country that’s still finding its feet in terms of tourism where itineraries don’t always go according to plan and spontaneity is the order of the day. 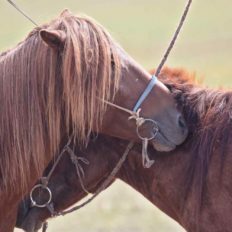 That aside, horse enthusiasts will be swept up with the spirit of the wild-eyed Mongolia ponies, the far-reaching, infinite steppe and to roam a country that is fence-free and horses are an integral part of everyday life. 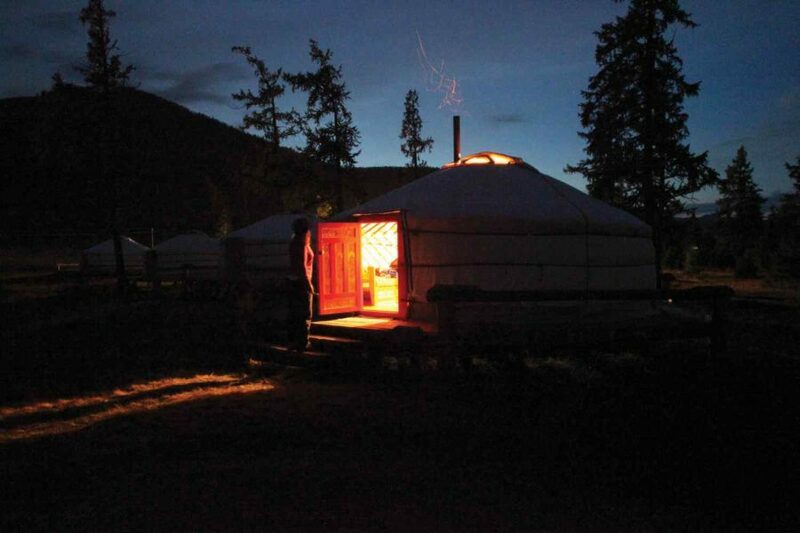 Prepare to drink a lot of vodka, shout ‘Choo Choo’ to your dread-locked pony, stay in cozy, traditional gers with your own fireplace and be swept off your feet with the sincere hospitality of the Mongolian people. 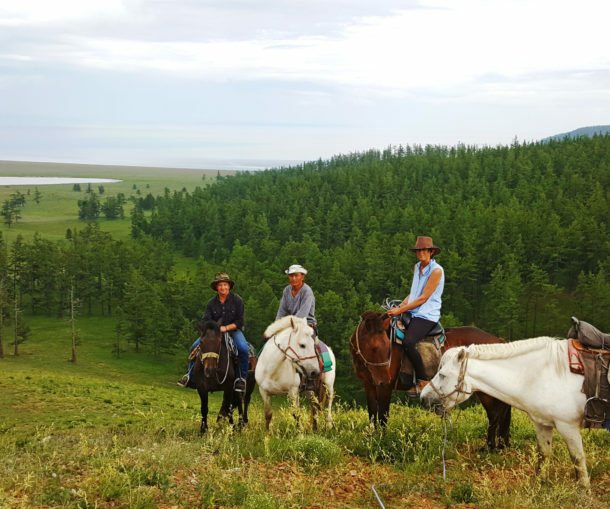 Both the 19-day Khovsgol and 13-day Arhangay rides coincide with local Naadam Festivals, which is a must-see to truly appreciate the mind-blowing culture of the Mongolians. 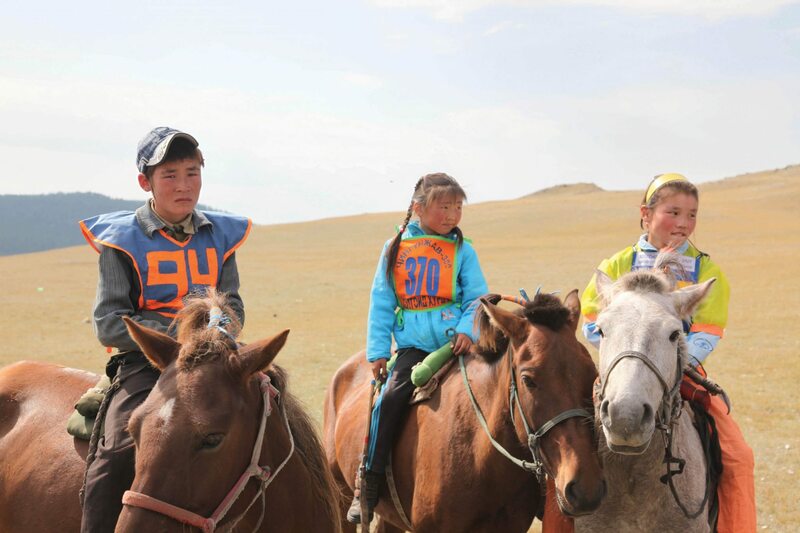 It’s a true highlight of the itinerary to watch child jockeys ride like centaurs across the steppe. Weight Limit:Maximum of 95kg / 210lbs. *Saddle fitness is a MUST! Riding Ability:Beginner to advanced. 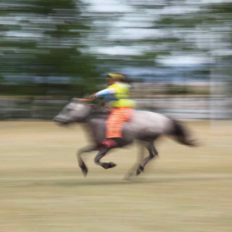 Beginners riders have to be fit and have a lot of trail riding hours under their belt. Accommodation:The accommodation varies throughout the trip, with the majority of the nights spent camping in tents, but there will also be times you stay in Ger camps and hotels at the beginning and end of the ride. 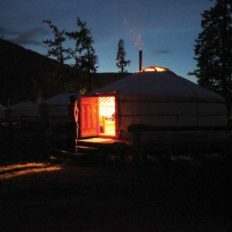 A Ger Camp is a Mongolian version of a motel with traditionally decorated gers for sleeping (usually shared rooms with 4 pax), separate dining hall and very basic facilities for shower and toilet. Single supplement is available on request - $85 USD per hotel night and $15 USD per tent night (NB: No single ger is available). **For our solo globetrotters, with your comfort and privacy in mind, we recommend you budget for the single supplement for the camping portion of your trip so you have your own tent. 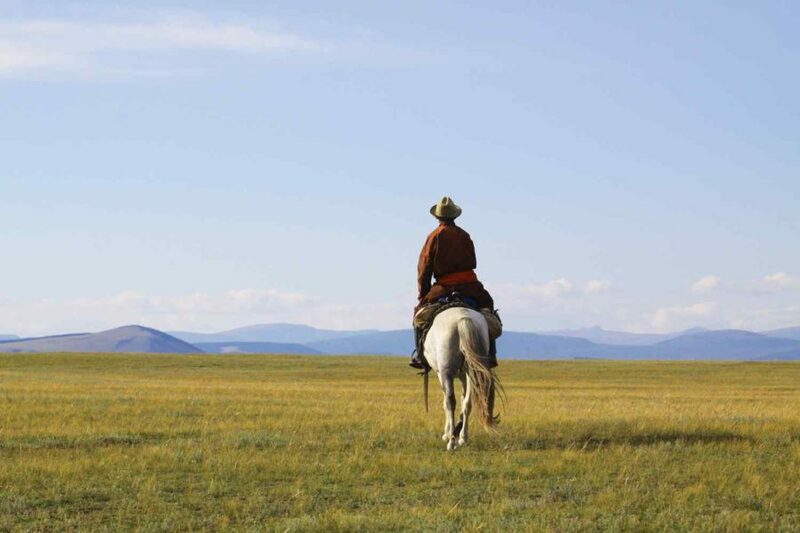 Inclusions:The price includes transfers to/from Ulaanbaatar airport, meals, accommodation, riding and staff tips. Exclusions:The price does not include international or internal flights or travel insurance. 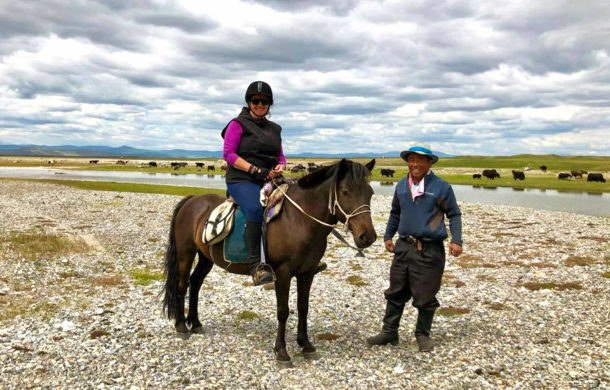 June 28 to July 16, 2019, which includes summer Naadam. *Please note, there is also an internal flight price of $400 USD per person. 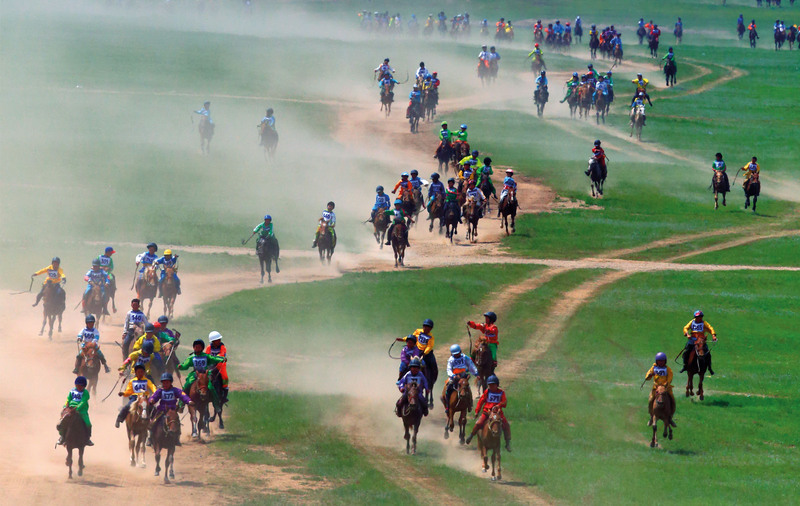 July 2 to 14, 2019, which includes summer Naadam. 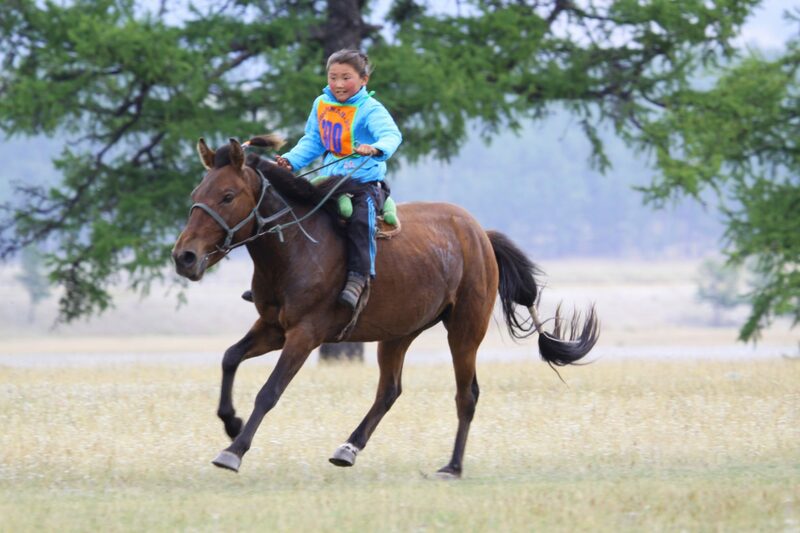 June 28 to July 16, 2020, which includes summer Naadam. Single supplement is available on request – $85 USD per hotel night and $15 USD per tent night (no single ger available). For our solo globetrotters, with your comfort and privacy in mind, we recommend you budget for the single supplement for the camping portion of your trip so you have your own tent. 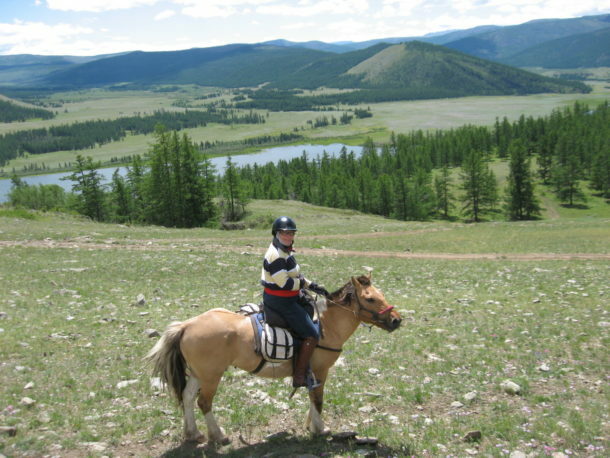 The prices include transfers to/from Ulaanbaatar airport, meals, accommodation, riding and staff tips. The price does not include international or internal flights or travel insurance. Please note that for the 19-day Khovsgol itinerary there is an internal flight price of $400 USD. Arrive in Ulaanbaatar, the capital of Mongolia (called “UB” by locals and visitors alike). After immigration and customs, you will be met by your guide and driver and transferred to your hotel. Referred to as “The City of Contrasts”, where modern constructions stand beside traditional dwellings and ancient monasteries, UB is a rapidly growing and developing city with a population of nearly a million people. Conveniently located in downtown UB, your hotel is within walking distance from Sukhbaatar Square, museums, theatres, and shops. Depending on an arrival time, you may enjoy a short city orientation tour before dinner. Overnight in hotel. Full day of guided sightseeing in UB. Visit Sukhbaatar Square and Zaisan Memorial. Zaisan including a couple of museums if time permtis. Memorial is a landmark of UB built on the Bogd Khan Mountain, and is the best place to view the whole city. Overnight in hotel. Airport transfer for your flight to Muren. Drive to Khatgal, the gateway to Khovsgol National Park. Lake Khovsgol is 100 miles long and the deepest in Central Asia. The lake holds 2% of the world’s fresh water resources. Overnight at a ger camp on Lake Khovsgol. Today you will have a boat ride on Lake Khovsgol to the base of Jigleg Pass located halfway up the western shore of the lake. 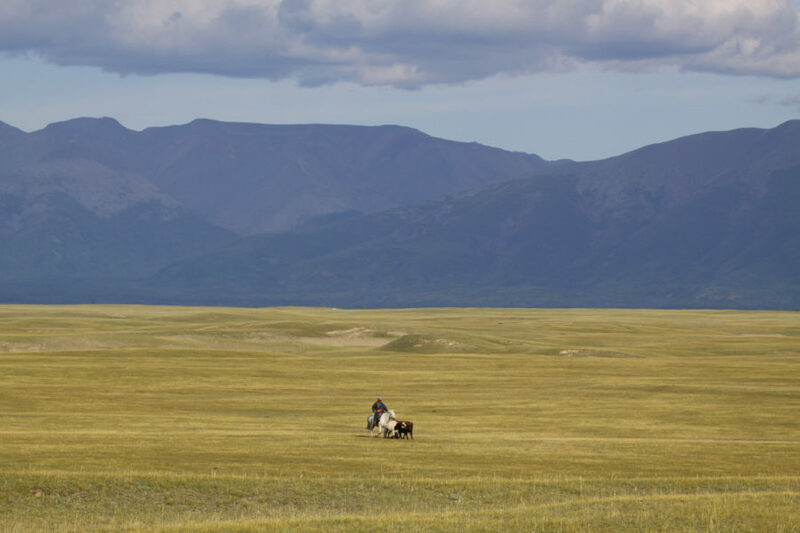 Local guides will welcome you at Jigleg Camp Shakedown ride, meet horses and wranglers. Overnight in tents. 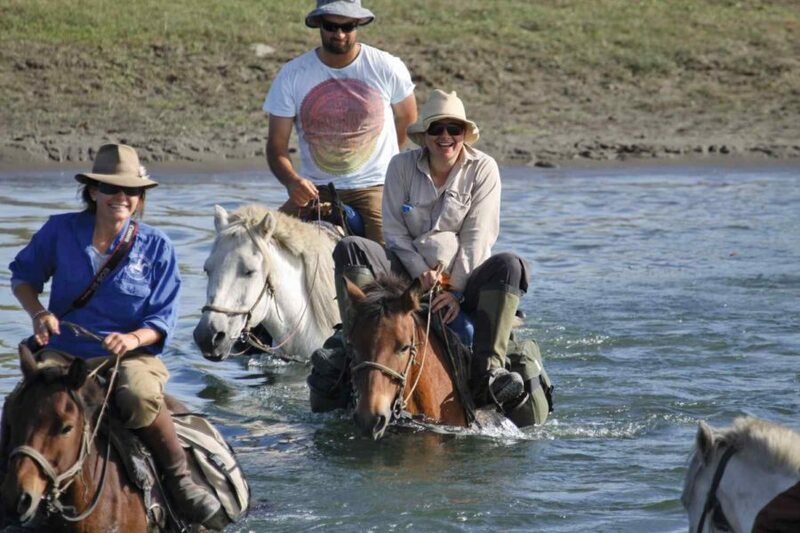 This will be the first day of the horseback riding adventure through Darhat Valley. Ride towards Renchinlhumbe. 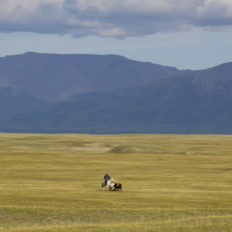 The area forms part of the Darkhad valley (Darkhadyn Khotgor) and is considered remote and relatively inaccessible even for Mongolian standards. The local Darkhad are known for their practice of Shamanism. Vehicle supported. Overnight in tents. Continue riding to the town of Renchinlhumbe in the Darhat Valley. Vehicle supported. Overnight in ger or tents. Ride through the Darhat Valley towards Hogrog and Zuun taiga. 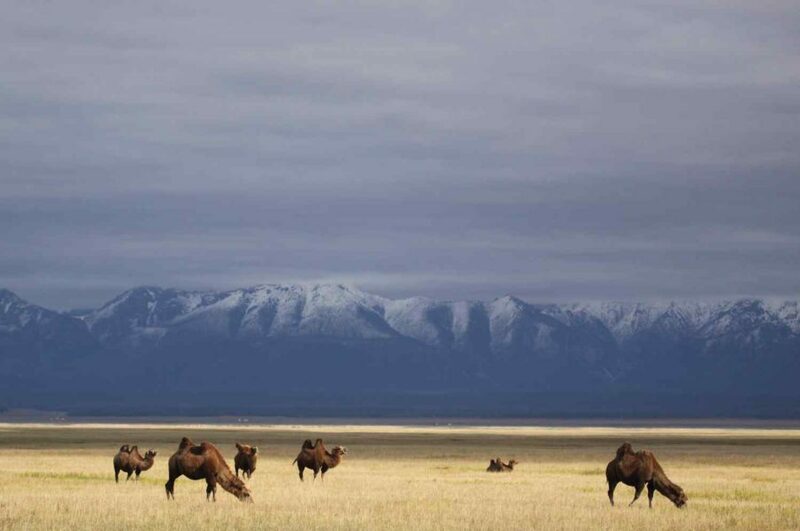 East (“Zuun”) Taiga is situated northeast of Tsagaan Nuur beyond a steppe valley called “Hogrog.” Vehicle supported. Overnight in tents near Sharga river. 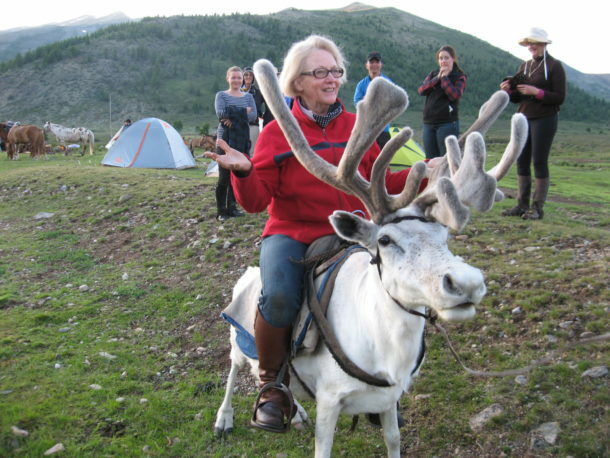 Arrive at Hogrogo, jumping off point to visit the Reindeer People in East Taiga. There are roughly 18 families who live in East Taiga. They move and camp in two groups (13 families and 5 families, respectively). 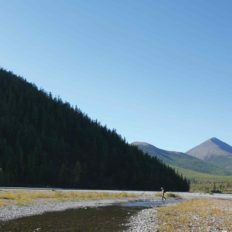 Much of the terrain in East Taiga is open valleys, wetlands, and forests. Vehicle supported. Overnight in tents. 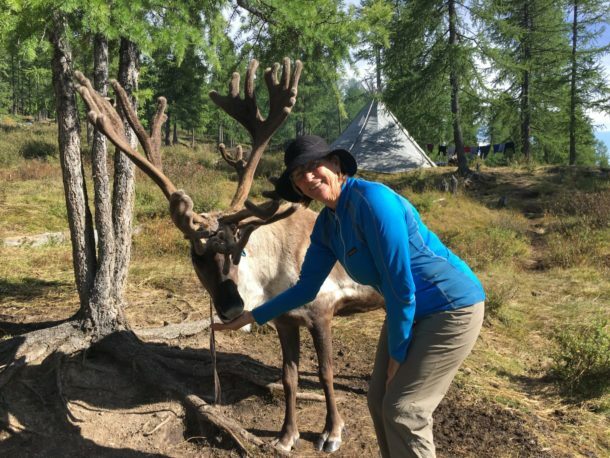 Pack trip into the northern mountains to the summer camp of the Tsaatan (Reindeer people). Average camp distances from the edge of the Taiga in Hogrogo range from 6-40 km. 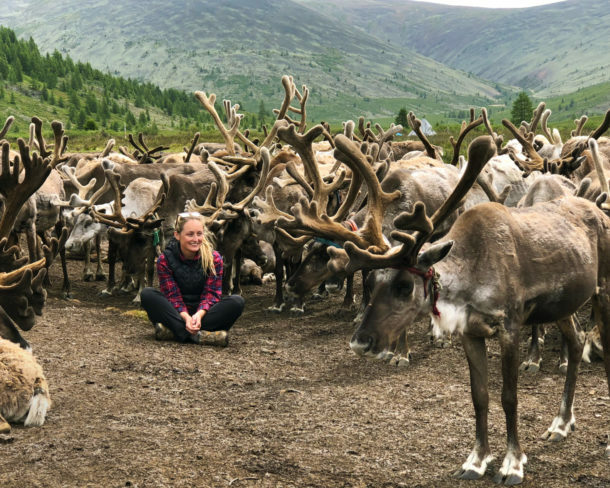 The Tsaatan are a community of nomadic reindeer herders, originally from Tuva in Siberia, who have historically inhabited the border region of Russia and Mongolia. 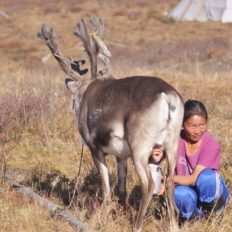 Ethnically, the community identifies as Dukha and Uighar, but their lifestyle as reindeer herders earned them the Mongolian name Tsaatan, which means roughly “with reindeer.” Camp out in tents with packhorse support. Day at the Tsaatan summer camp. 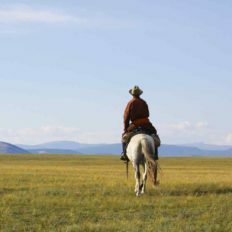 Exploring the area on foot or horseback. Overnight in tents. Ride back to Hogrog. Overnight in tents. Ride half way to Renchinlhumbe. Vehicle supported. Overnight in tents. Short ride to Renchinlhumbe and arrive in late afternoon. Overnight in ger. Observe Naadam festivities. 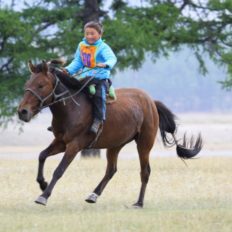 Naadam or ‘Festival’ has occurred for centuries in Mongolia as an exhibition of horse racing (racers are generally ages 7-11 and race 15-30 kilometres), wrestling (men only) and archery (women and men). July 11, 2011 is the official date of Naadam established by the Mongolian government. Stay overnight in ger. After lunch ride towards the Jigleg pass. Vehicle supported. Overnight in tents. 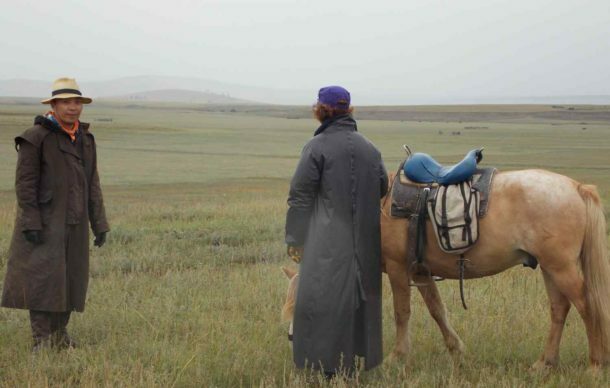 Arrive at Jigleg and say goodbye to wranglers and horses. Vehicle supported. Overnight in tents. Today you will have boat ride on Lake Khovsgol from the base of Jigleg Pass located halfway up the western shore of the lake, to the Naranzangilaa ger camp. Overnight in ger camp. Catch your return flight to UB. Enjoy a folk concert. Farewell dinner. Overnight in hotel. Airport transfer for your return flight home. Arrive in Ulaanbaatar, the capital of Mongolia, also called “UB” by visitors. Upon arrival at the UB airport, you will be met by your guide and driver and transferred to your hotel. Referred to as “The City of Contrasts”, where modern constructions stand beside traditional dwellings and ancient monasteries, UB is a very rapidly growing city with a population of nearly a million people. Conveniently located in downtown, your hotel is in walking distance of Sukhbaatar Square, museums, theatres, and shops. Depending on an arrival time, enjoy a short city orientation tour before dinner. Overnight in hotel. 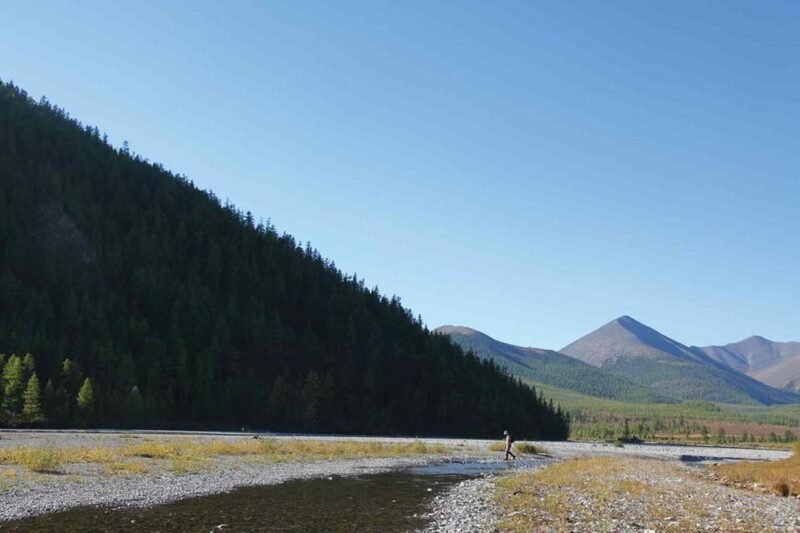 is called the ‘Switzerland of Mongolia’ for its beautiful scenery: forests, rivers and mountains. After lunch, continue on to camp in the valley of the Ikh Tamir River. Meet horses and wranglers. 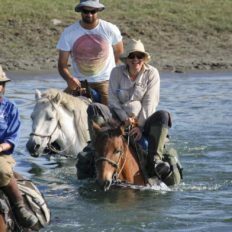 On the horseback trek we cover anywhere from 15 to 50km per day and meet our support vehicle each night at a new campsite. 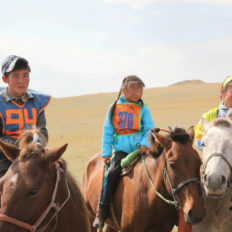 Personal luggage and the supplies for the ‘catered camping’ are transported in the support vehicle making for light, fast travel on horseback. Camp out each night with our mobile “American ger” and spacious two-person tents. 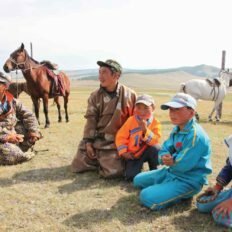 During each day’s ride we’ll visit the gers of local herders and have a chance to experience nomadic life on the Central Asian steppe. 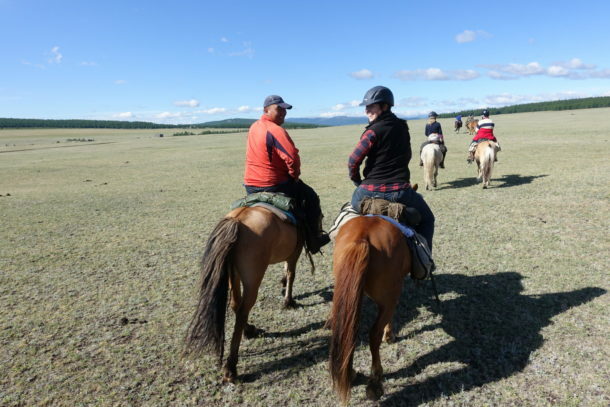 Experience Naadam in Tsetserleg by horseback. 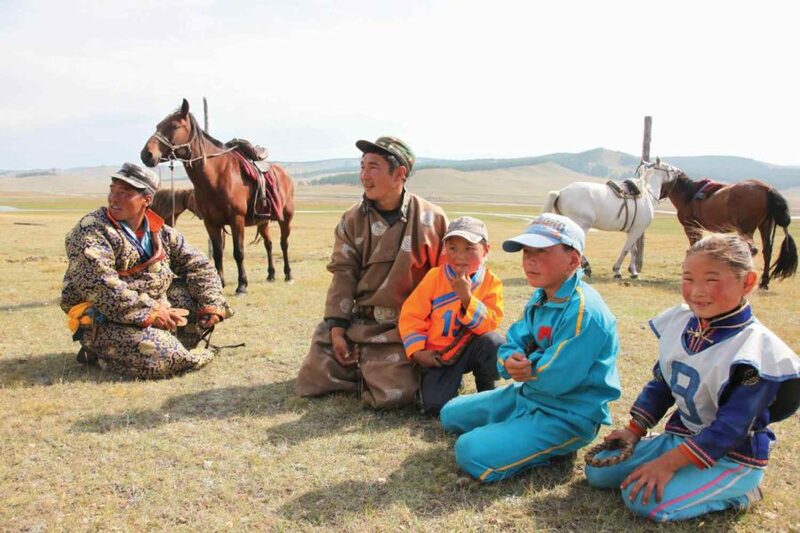 Observe Mongolian traditional sports called the ‘Three manly games’. Naadam has occurred for centuries in Mongolia as an exhibition of horse racing (racers are generally ages 7-11 and race 15- 30 kilometres), wrestling (men only) and archery (women and men). 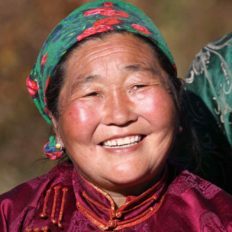 July 11, 2011 is the official date of Naadam established by the Mongolian government. Stay overnight in ger camp. 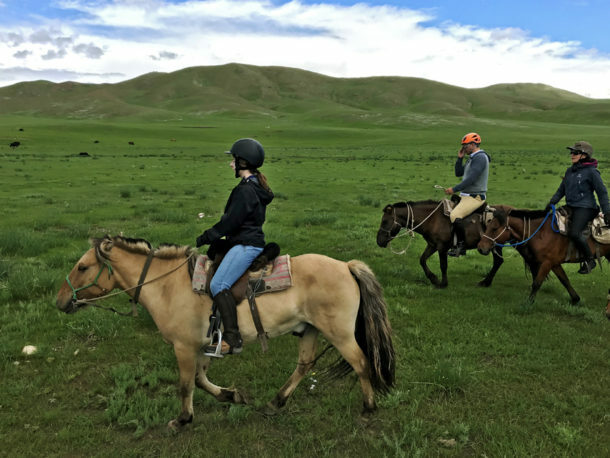 Ride and camp through the valleys and mountains of Arhangay. A support vehicle will carry all camping goods and food. 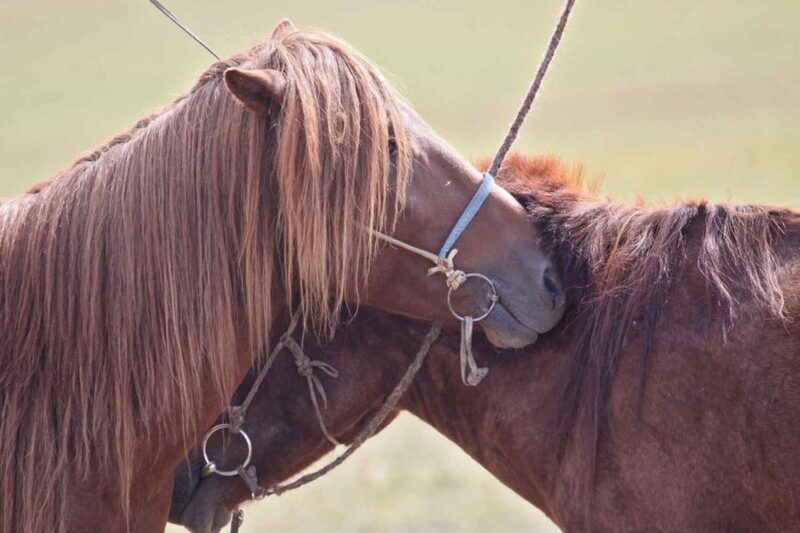 Local wranglers take care of the horses. 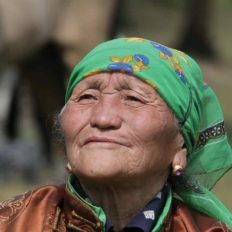 You’ll visit many families along the way and taste the local foods of summer; yogurt, cheese and the infamous airag (fermented horse milk). 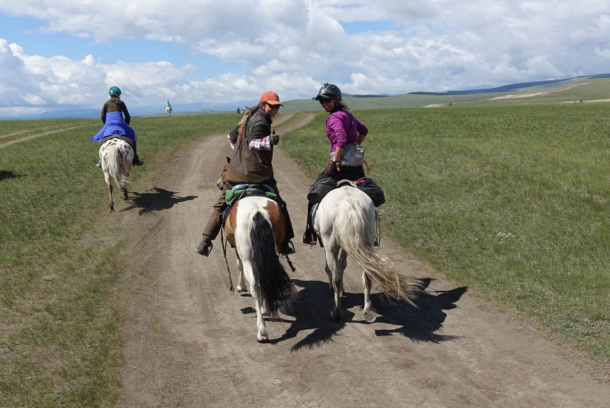 Even though we recommend a riding background for this trip, the support vehicle always has room for anyone who is ready for a break from the saddle. Camp out in tents overnight. Finish last day of riding at Tsenkher hot springs. Drive to Khogno Khan Nature Reserve. Relax and hike in the rock formations of the Reserve. The ruins of the Uvgun Temple first built in 1660 lie at the base of the mountain of Khogno Khan, a nice place to begin a short hike. 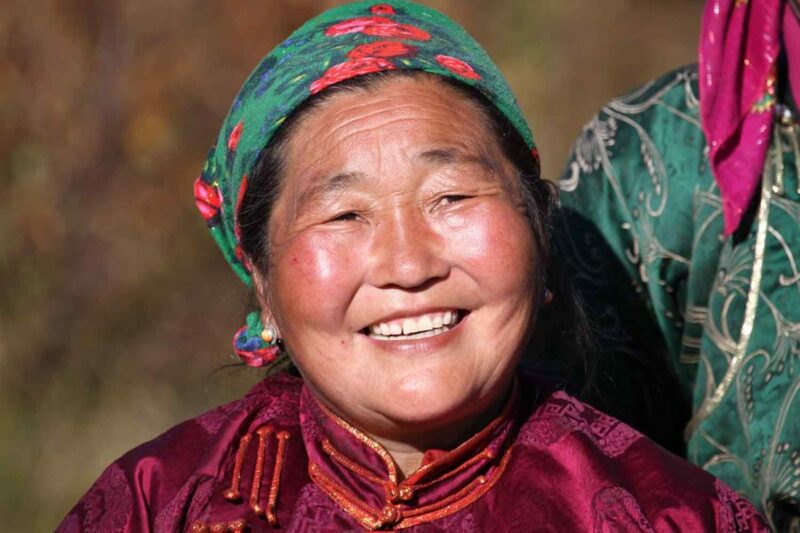 Meet local herders and experience the hospitality of the Nomads. Return drive to UB. 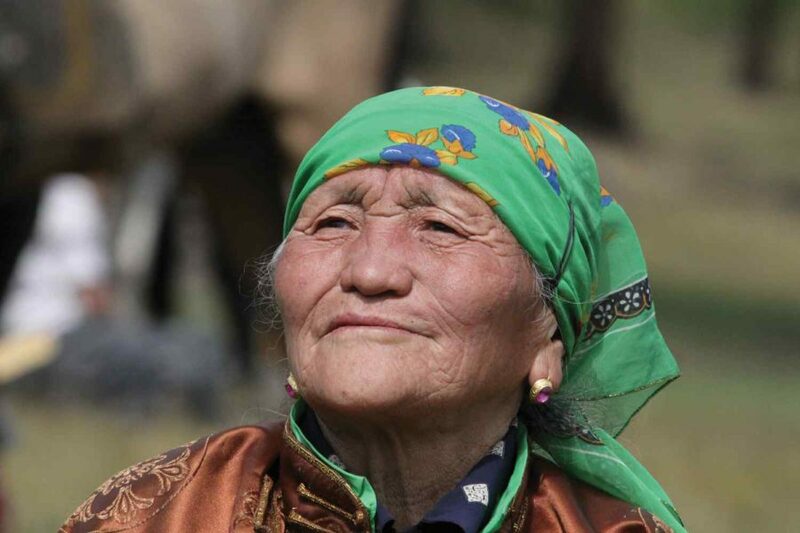 In the evening, watch Tumen Ekh folk theater perform throat singing, traditional dances, contortion and more. Farewell dinner. Overnight in hotel. Enjoy a breakfast buffet at your hotel before a full day of guided sightseeing in UB. 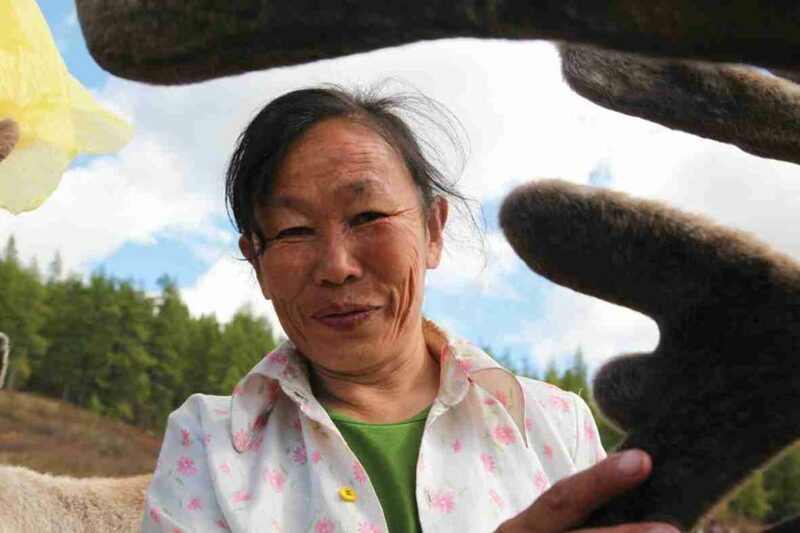 Begin the tour at Zaisan Memorial, a prominent landmark looking over the city of UB built on Bogd Khan Mountain. Walk Sukhbaatar Square, named after the Mongolian National Hero of People’s Revolution in 1921. Sukhbaatar Square is surrounded by Parliament, the Stock Market, cultural sites, the Palace Royal Opera House and the main post office. Visit Gandan Hiid (monastery), the largest Buddhist Temple in Mongolia. 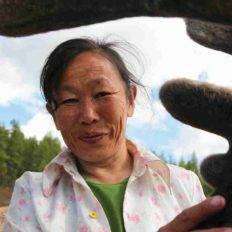 Take in the Museum of National History and the Fine Art Museum of Zanabazar to acquaint yourself with Mongolian history, traditional culture and arts. Overnight in hotel. Your guide and driver will take you to the airport for departure home. Please note that for the 19-day Khovsgol itinerary there is an internal flight price of $400 USD. 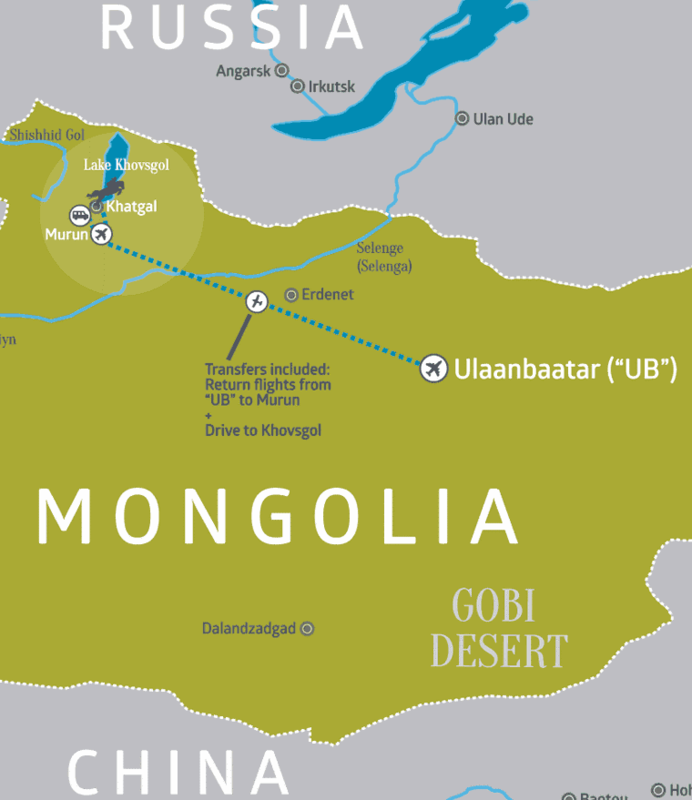 Complimentary airport transfers are included upon arrival and departure in Ulaanbaatar. Please ensure you inform Globetrotting of your flight itinerary prior to departure so that these can be arranged.